It’s bounce back time for Salmon Arm. Friday night they travelled to Trail and beat the Smoke Eaters 3-2. The next night was not so good for the squad as Trail scored 10 times and won 10-3. Missing eight regular players and playing a man short in the lineup, Salmon Arm was unable to win a season high fifth game in a row. The good news for the team is that they are expecting to get a few more bodies back this week. Wyatt Marlow and Jack Sampson were both out with sickness, and will hopefully be back in the lineup for the team. The AP callups performed very well for the Silverbacks in the last few games with the team missing so many bodies, but getting some regulars back should give the group a boost. Wednesday kicks off a very tough final six games for Salmon Arm as they conclude the 2018/19 season. 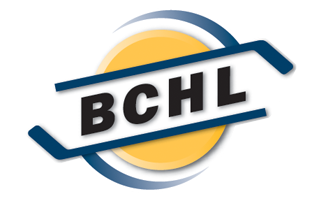 The Chilliwack Chiefs who are in town tonight lead the entire BCHL with 81 points, a year removed from their tournament victory at the RBC Cup as hosts after losing in the first round of the 2018 playoffs. Following the game tonight, Salmon Arm starts a stretch of three straight against the Wenatchee Wild who are third in the division and 3-0 against the Silverbacks this season. Then things wrap up next Friday/Saturday in a home-and-home series with the Interior leading Penticton Vees. Looking at the game tonight, Salmon Arm is 1-0 against the Chiefs this season. 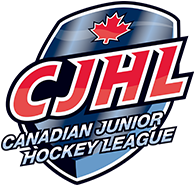 They ended a five year losing drought in Prospera Centre against Chilliwack beating them 4-3 on November 3rd. Nick Unruh’s 7th goal of the season stood as the winner in that game scoring halfway through the third period. The Silverbacks held the Chiefs power play in check that game not allowing a single goal on six chances. Salmon Arm meanwhile was 1 for 4 with Nick Unruh scoring on the man advantage. Chilliwack didn’t have any multi-point performers that night while Matthew Verboon and Hudson Schandor both had one goal and one assist for Salmon Arm. It’s going to be a race to the finish for Salmon Arm. With six games left, the team could technically finish as high as second and as low as seventh. Sitting fourth in the Interior, they are seven points behind Wenatchee for third, but have two games in hand, and three games in a row against the Wild will go a long ways to potentially catching the Americans. Right behind Salmon Arm are the Vernon Vipers and West Kelowna Warriors. Both teams have played one extra game, so the game tonight for Salmon Arm will even the trio up there. Vernon is just one point back and after a loss Monday against Powell River, the Warriors remained two points behind. Chilliwack has won eight games in a row, and currently sit five points up on the Prince George Spruce Kings for first in the Mainland Division. None of those have been blowout wins though with Chilliwack never scoring more than four goals in any of the wins. Silverbacks: Whoever is in net tonight will have a tall task against the Chiefs. Salmon Arm is coming off a game where they surrendered a season high 10 goals in a 10-3 loss to the Trail Smoke Eaters. Ethan Langenegger started the game, was pulled for Matthew Armitage, and eventually was put back in during the second period. The Chiefs maybe aren’t the best team to come back against as they boast the third best goals for in the BCHL this season. With two goals on the season, the most recent for Yewta Plamondon came against the Chilliwack Chiefs. The forward is on a 19 game point drought, and just two weeks ago slotted back into the lineup after being out since December 21st. Chiefs: Making his return to Salmon Arm tonight is Max Wutzke who played just over two seasons with the Silverbacks. Sent to Chilliwack in late November, Wutzke has played in thirteen game for the Chiefs and has ten penalty minutes in that span. On a young Chiefs roster, he was brought in to be a veteran presence and is the only 19 year old defenceman on the team. Harrison Blaisdell is an NHL draft prospect this season, and is committed to the University of North Dakota. He had one goal in the first meeting, and his shot is one of the most lethal Salmon Arm has seen this season. He’s one of the top scorers this season around the league with 32 goals in just 48 games.